Lime is adding scooters to its Santa Monica fleet. 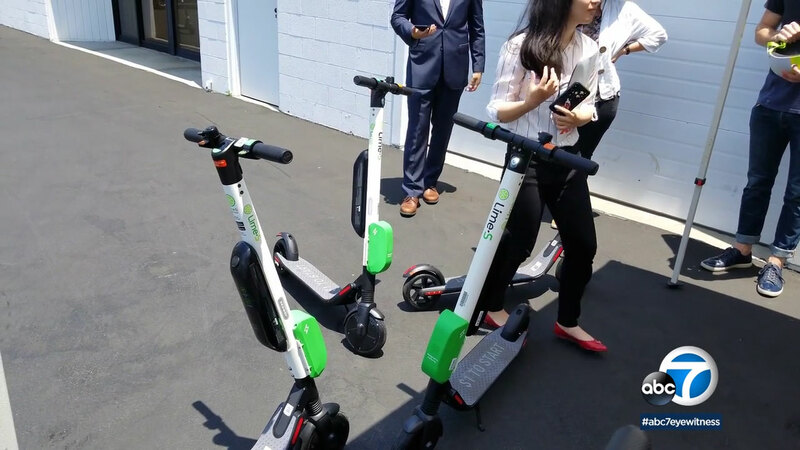 SANTA MONICA, Calif. -- Lime is adding scooters to its Santa Monica fleet. Lime is better known for its manual and electric assist bike shares. The company celebrated by giving a demonstration in downtown Santa Monica. Lime-S scooters cost $1 to unlock and $0.15 per minute of riding. Like their bicycles, the scooters will be dockless, meaning riders don't have to return them to a central location when finished. The scooter market in Santa Monica has been dominated by a company named Bird. And Lime enters the market at a time when residents and city officials are pushing back against the dockless mobility craze. Residents have complained about scooters and bikes being left in the middle of sidewalks and building entrances.